Alcohol poisoning is a serious problem that can occur with drinking excessive amounts of alcoholic beverages in a short period of time. The quantity of the alcohol consumed and its byproducts after being metabolized may be toxic to the body. It can therefore result in several systems in the body shutting down and eventually failing, sometimes even leading to death. There are several different types of alcohol which should be differentiated from each other as some are not fit for human consumption. These other types of alcohol can be toxic in even small doses. The term alcohol can sometimes be confusing because it is a group of substances that are chemically similar. Ethanol is one type of alcohol and is usually found in alcoholic beverages. Although humans can consume ethanol, in large doses especially if this is ingested over a short period of time, it can be toxic. The other types of alcohol may not be meant to be consumed, but may be ingested accidentally or intentionally. The more common types of alcohol that may be consumed by humans, other than ethanol, is methanol, isopropanol or ethyl glycol. 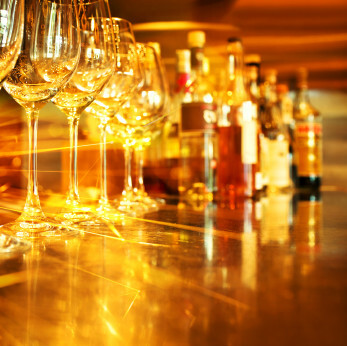 Most of us know alcoholic beverages, be it in the form of beer, liqueurs,spirits or related alcoholic drinks. The alcohol in these beverages is known as ethanol, a type of acyclic alcohol. It may also be found in mouthwashes, certain types of medication like cough syrups and some food extracts. Isopropanol or isopropyl alcohol is widely used in many household substances. It is not as toxic as methanol or ethyl glycol and can be consumed in small quantities. It is just as intoxicating as ethanol. Isopropanol is mainly found in mouthwashes, antiseptic solutions for wounds, skin care creams as well as disinfectants like antiseptic hand wash.
Methanol, also known as methyl alcohol or wood alcohol, is chemically similar to ethanol. It is an inexpensive substance that is used in various industrial and household items including paint remover, certain types of window cleaning agents, and some inks. 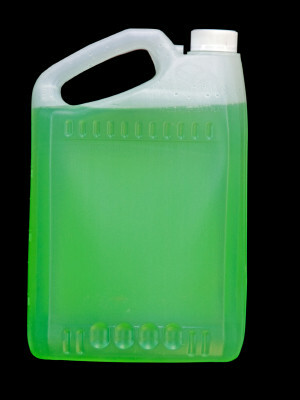 Ethyl glycol is primarily found in one substance in the household, mainly in antifreeze. Having been a tasteless and odourless liquid, it has on many occasions being mixed with alcoholic beverages in order to intentionally poison a person. Now, however, additives has rendered the substance into a bitter tasting liquid. It is very toxic to humans and can quickly lead to death. This has been discussed in detail under antifreeze poisoning. All the different types of alcohol are broken down in the liver by the enzyme alcohol dehydrogenase. The different compounds formed by this breakdown and then further byproducts are metabolised in the body by other enzymes. Ethanol is converted into acetaldehyde. Isopropanol is converted to acetone. Methanol is converted into formaldehyde and then formic acid. Ethyl glycol is converted into glycoaldehyde and then into glycolic acid. Alcohol poisoning is a result of consuming excessive amounts of ethanol in a short period of time or consuming even small amounts of other types of alcohol that are extremely toxic to humans. Most cases are due to an excess of ethanol consumption in the form of alcoholic beverages. This is more likely to occur in certain situations such as during college hazings, in social settings, as a result of emotional stress or in any person who habitually abuses alcohol. In terms of the latter it is more likely to occur in the binge drinker rather than the regular drinker. Toxicity related to other forms of alcohol like methanol, isopropanol or ethyl glycol may occur accidentally. This is more often seen in infants and young children but may also occur in adults. Some of these types of alcohol, like methanol, can enter the body through inhalation or be absorbed through the skin. Another cause may be due to intentional poisoning, either self inflicted during a suicide attempt or by a third party with the intention of doing harm to the victim (foul play). Choking as vomit may enter the airways (aspiration) since the gag reflex is depressed in a person who is intoxicated. Suffocation as the respiratory center in the brain is depressed and causes slow and irregular breathing. Other effects that are life threatening includes liver and kidney failure and cardiovascular dysfunction which is more likely in a short period of time with toxic alcohols like ethyl glycol. Furthermore alcohol causes stupor, confusion or can even comatose a person which can then put a person in harms way, particularly if driving, operating heavy machinery or in a situation where there are known hazards like on a road side or heights. Although there are potentially fatal consequences with any type of alcohol poisoning, greater care has to be taken with methanol poisoning and especially ethyl glycol poisoning. Some medication, including ethanol, may prevent the breakdown of other types of alcohols with very toxic byproducts. Kidney dialysis may help with the removal of certain types of alcohol from the bloodstream thereby preventing the byproducts from reaching dangerous levels.